A century ago this Easter, young Fr Joseph Cardijn arrived in the parish of Our Lady at Laeken near Brussels to take up a post as curate with particular responsibility for women’s projects. A few months later, with a group of teenage girl apprentices, he launched a study circle that he came to regard as the first ever Young Christian Workers (YCW) team. 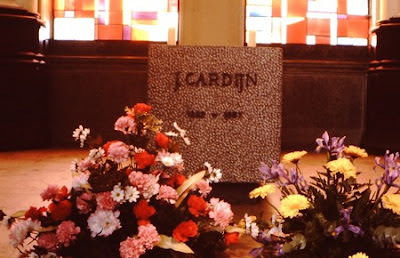 Working with Madeleine De Roo, Victoire Cappe and others young women leaders, Cardijn rapidly laid the foundations for what would become a worldwide movement of young workers. Later in 1912, he would also meet 18 year-old Fernand Tonnet, who would join him later in founding the YCW movement for young men before eventually dying in a Nazi concentration camp during World War II. “The most fundamental characteristic of the beginnings of the YCW (before the First World War) was the call to an apostolate, a total and complete apostolate for several young women workers who would train and raise up the others,” Cardijn wrote much later. going to live in an attic in Rue Haute [High Street] in the midst of an environment of prostitution. Instilling what he described as a “very active” spirituality based on meditation, prayer, sacraments and study, Cardijn inspired an amazing sense of commitment in the young women workers of Laeken. “The story of this ‘golden legend’ has never been written down,” Cardijn noted. “However, it is the only explanation for the extraordinary power of the YCW, the YCW mystique. “I believe that it is the essential condition of the true worker revolution. Without it, we are doomed to bourgeoisification,” he warned. Although the world of 2012 is very different from that of 1912, some things have not changed. In 1912, Europe was in the throes of its industrial revolution. Today, the whole Global South is in the midst of its own vast industrial revolution. Whereas Cardijn once spoke of “millions and millions of young workers”, today the reality is that there are billions of young workers throughout the world, particularly in the developing countries. The needs and problems that moved Cardijn to act are greater than ever. ‘Globalization’ has permeated into all spheres of life and is projected as the ‘new religion’. Consumer culture promotes ‘consumption’ as a key to people’s own identity. The Cardijn Community International (CCI) therefore wishes to take this opportunity to express its solidarity with the YCW and all others who base their work on Cardijn’s principles. We call for a fresh commitment to Cardijn’s cause so that a new generation of young people may be able to discover their mission to transform the world together with all those working to build ‘another world’. On this historic occasion, we also renew our commitment to promoting Cardijn’s spirituality, vision and See-Judge-Act methodology.